The National Agency for the Prohibition of Trafficking in Persons (NAPTIP) has said that it is making efforts to rescue about 20,000 Nigerian girls trapped in different parts of Mali. 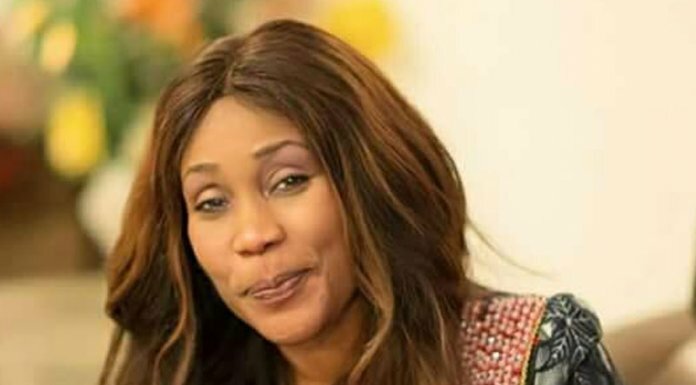 The Director-General of NAPTIP, Mrs Julie Okah-Donli, who made this known in an interview with the News Agency of Nigeria (NAN) on Saturday in Abuja, said the victims were trapped in different parts of Mali for prostitution. Okah-Donli said that the trafficked victims were discovered after NAPTIP sent a fact-finding mission to Mali last December following some security reports. She said: â€œWe sent a fact-finding mission to Mali last month and the mission came with a report that about 20,000 Nigerian girls had been trafficked to different parts of Mali. â€œMany of the girls said that they were deceived that they were being taken to â€˜Malisiaâ€™, making it sound like Malaysia, to work in hotels, restaurants, hairdressing salons and some other jobs. The NAPTIP boss decried the living condition of trafficked Nigerians in the West African country, adding that some of the girls were sold for N600,000 and were made to service, mainly miners. â€œThere are over one million Nigerian residents in Mali, out of which about 20,000 are trapped into forced prostitution. â€œThe conditions are horrible; they are kept in shanties in the thick of the forest where they cannot escape and with the â€˜madamesâ€™ watching over them. â€œTheir job, mainly, is to service miners from other parts of Africa who are predominant in Northern Mali. â€œThey are bought for N600,000 and they are made to pay back N1.8 million or N2 million within six months before regaining freedom and also becoming madams,â€ he said. She said that Nigerian authorities were collaborating with their Malian counterparts as well as the International Organisation for Migration (IOM) to rescue and rehabilitate the victims, most of whom were eager to return. â€œMost of the girls are desirous of returning home and we are working with the IOM, the Malian government and the Nigerian Embassy in Mali to see how we can repatriate them. â€œOur plan is to rehabilitate them immediately they return home. W4e will have rehabilitation programme on ground before they are repatriated,â€ he said. â€œTrafficking increases by at least 500 girls daily. They bring them in their hundreds and now, they waybill them through well known motor parks in Cotonou. â€œIt also cuts across all 36 states of Nigeria and happens all over the world. It is no longer about the Edo girls being trafficked to Italy. â€œI urge Nigerians to be alert and sensitive about their surroundings; they should report suspicious movements to the authorities, especially at our border posts.